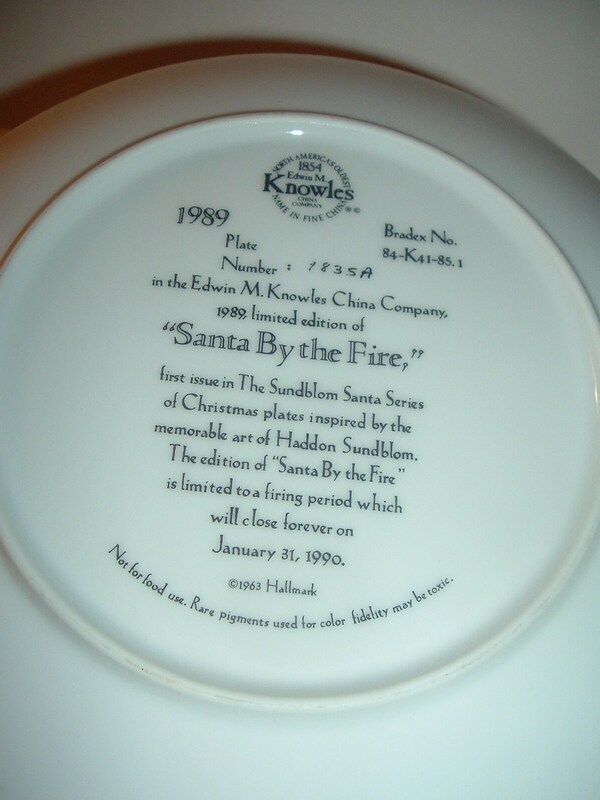 This 1989 Edwin Knowles Santa By The Fire plate measures approx. 8.5" across. 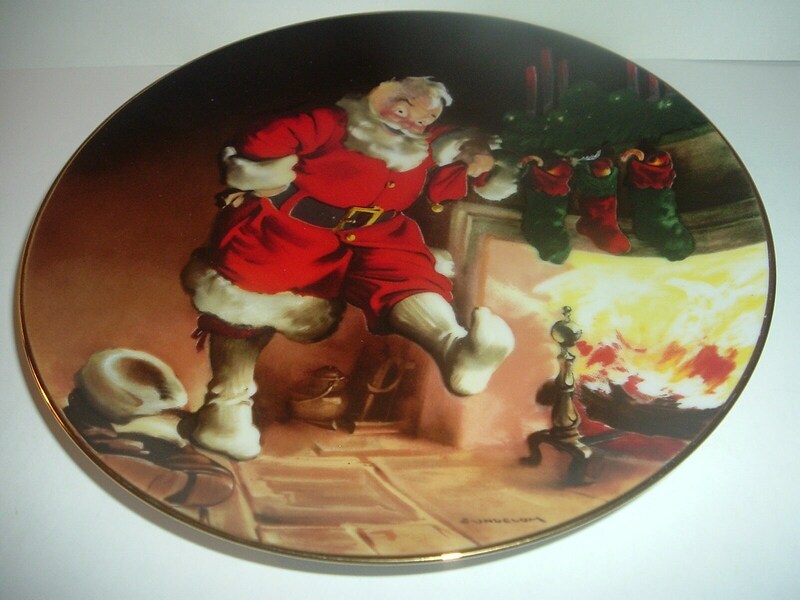 This is the first issue of the Sundblom Santa Series of Christmas plates inspired by the art of Haddon Sundblom, and is in excellent condition with no chips, no cracks, and no wear or scratching. No box or paperwork with this one. I gladly combine shipping.